I’m often asked how much natural and organic products we eat. As a former couponer, I know that coupons don’t come out very often for organic products and when they do they are mostly for what I call, organic junk food. Over the last several years we are slowly switching over to organic/natural. Yes, it’s more expensive. No, it’s not alot more expensive. The key is being selective in what you are buying and then finding the lowest price on that item, whether that means buying it in bulk or finding different sources for different products. When you first set out to go organic you might be overwhelmed by the prices and the food differences. At first I thought there was no way we could do it without our budget taking a serious blow. Turns out I can still buy all my groceries and health and beauty products for the month for around $200. Does that sound impossible? It’s not, but it does take extra work. The other day I mentioned to a friend that when I do something, I don’t do it halfway. But that doesn’t mean we switched things over all at once and it doesn’t mean that we even switched a particular food all over to organic all at once. But it does mean that I made a commitment to do this and I’m sticking with it. On a side note: yes we still use coupons occasionally. Using coupons and getting stuff for free is my way of giving back the best way I can. I still love coupon shopping and I know there is many people out there that can use the products so I’m more than happy to shop to donate or for friends and family. As far as our food shopping goes though, I rarely use coupons for my own personal groceries. When you think of going natural/organic you should try and think in terms of cooking from scratch instead of buying organic food off the shelf. Occasionally you can find a good deal on organic “processed” foods with coupons and at discount stores but if you are really wanting to save as much money as you can while making the switchover, you will have to mostly cook from scratch. Instead of thinking that you will now have to pay $3 a box for organic crackers instead of $0.50 – $1 a box for crackers that you can get with the coupon, think about making crackers from scratch and paying only $0.25 – $0.50 a batch. Not only are you saving even more than you would with coupons, that’s saving more than 75% off the cost of the organic product! Of course meal planning helps also! For me, the hardest part is the health and beauty switchover. I can’t, or don’t yet know how, to make those products from scratch, and that’s why they are still on my to-do list. But it will all come in time, I just have to give it time. Something else to think about is where you buy your products. Now alot of grocery stores are starting to have store brand organic products. Some of these even have organic coupons like the Nash Finch brand organic line, Nash Brothers. Also, check around for a local co-op. I absolutely love mine. (Azure Standard) But I don’t buy everything from there, I also check out the local discount store and when I go on vacation I’m always on the lookout to snag a bargain on products that we will use. For example on our most recent vacation I got to check out a discount grocery store and they had my organic shampoo brand that I love for half the price I normally pay, and in a larger bottle. You better believe I stocked up! Don’t forget though that no one is perfect! What about you, have you “gone organic”? Do you have any more tips for other readers looking to make the switch-over? 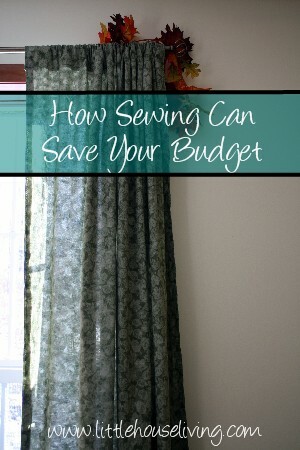 Find even more ways to save money! Seventh Generation dish products are usually a good price and coupons are available around Earth Day and that is when I stock up on them. I have been very happy with these products and have no allergy issues with them. I read an article in the newspaper yesterday about organic H&B products. Apparently there are not any guidelines for them and any product can label themselves organic. I thought that was disturbing as you do not know what you are getting for the high price you pay. Whole Foods has recently decided to verify them for themselves and will only sell organic H&B products that are certified to be 70% organic. That leaqds me to believe that there my not be 100% organic products out there or no way to be sure they are even if they are labeled that way. We use Unicure shampoo and conditioner. You can find them on the web. They have made their products better and better for humans over the years that we have been using them. They are $35 a gallon which is the best price I have found for such products. I wish they had more coupons for organic foods. It would really help save a ton of money. Great post. I heard Physicians Formula is a great line although I’ve never tried it. It can be very hard to make the switch! I try to prioritize – some foods contain a lot more pesticides than others. For example, I always buy organic apples and potatoes because they can be really laden with chemicals, but I don’t worry as much about onions or pineapple, because you peel them. I also make a lot from scratch. I actually gave up using shampoo totally a few months ago. Lots of people use a baking soda wash / vinegar rinse, but I just use hot water. After a few weeks of looking greasy, my (very long!) hair went back to its old self. I’ll never both with shampoo again. Also made my very first batch of homemade deodorant just the other day and LOVE it. It’s very simply equal parts coconut oil, baking soda and arrowroot. You can add essential oils if you want, I didn’t bother. Takes some elbow grease to get it mixed up, but then you can pack it into an empty deodorant stick and use it the same as store bought. It doesn’t stop you from sweating, but I find it really keeps me from stinking. Love it. Good luck on your quest! I’ve been wanting to try making deodorant – thank you for sharing the recipe! Love making my own deodorant and where I live it has already been in the 90’s with hiking for 2.5 miles and I came out smelling like coconut! My preteens/teens only use this also! I would love to smell like coconut after hiking in 90 degree weather. I have tried some recipes, but none seem too work well. Especially those with baking soda–skin irritant. Right now, I’m using Tom’s of Maine and its so so–have to freshen up a few times a day. What recipe do you use? I also made my own deoderant this way. And now I find that I am not needing to use ANY! I do still apply about once every 2 weeks or so, but it is also winter here right now. We’ll see how that goes in the summer. But I am a clean eater most of the time. I have read that it makes a difference in you ‘oder’. I am happy with not having to use any deoderant though. It’s easier and I don’t have that ‘moist’ feeling in my pits that I did when I was using my homemade stuff. I have yet to get to ‘no-poo’ though. I feel like my hair stinks after only 2 days. I use Organic. I have gone about 65% organic. I only buy meat from our local butcher and I get our eggs from there too. The beauty products I have the hardest with. I wish you the best of luck! I just found your blog, so forgive me for adding to this discussion so late! We have been going organic gradually over the past few months as well. My grandmother who raised me had a beautiful garden in our back yard, and we ate very well from its bounty. My mother’s garden isn’t quite as nice, but she has lovely tomatoes, peppers, and herbs most of the year. I have a brown thumb and have never been successful at gardening, but I have kept most of our houseplants alive. I buy seasonal produce at one of several farmer’s markets that are within reasonable driving distance, and some carry locally-raised chicken, pork, beef, and turkey. Per pound, the meat is more expensive, but it tastes so much better. As do the cage-free local eggs, which have beautiful deep yellow yolks full of goodness. There is an organic, natural dairy in our state which has delicious milk. And bread made with the non-processed good stuff is heavier and more filling. We do still buy non-organic products, but we’re gradually phasing those out. Our meals taste better, and I know I have more energy than I did before we started this. My kids now rarely buy school lunches because they’d rather have the goodies mom comes up with! Who knew that turkey and hummus on a whole wheat pita would be such a big hit? I’ve been making my own skincare products for over a year now and am HOOKED! They are simple, cheap and SO good for me. Most of my recipes have come from the book “Natural Beauty at Home” by Janice Cox. I’ve been pleased with almost all the recipes and they cover pretty much everything from skincare to haircare, oral, men’s, fragrance, and pampering scrubs/soaks. My favorite skin cleanser is just a simple combo of honey, a few Tbs castile soap, and water. My face creme is mostly olive oil, grated beeswax, water and a pinch of borax… I highly highly recommend the book. Sounds like a good book, I will have to look into it! I recently got Organic Body Care Recipes and I’ve been looking through that one for some ideas. I’ve love to find a good moisturizer that works! Organic Coconut oil is the best for your skin. Nourishing, hydrating and very healing. Smells great! I buy Dr. Bronner’s brand, because I know that this company is fighting for all the “fake” organic companies to put on their labels what their products really are (not 100% organic). It’s sad that there are companies out there not being completely honest with their customers as mentioned in an above reply. Dr Bronners feels strongly about organic products really being organic. I love that about them, so when I saw that they now offer coconut oil, I bought their jar of it instead. I also use their lavender essntial oil castile liquid soap and the tea tree one for my dog. Any flea or tick will drop off into the water if there is one on my chihuahua. Doesn’t smell bad or leave a yucky scent at all. I also use the coconut oil on my dogs dry skin or feed him some on a spoon when he gets dry skin in his arm pit area. This does the trick. Also coconut oil is great to cook with. It’s a healthy fat that is said to lower cholesterol. I’ve been using these products for about 10 yrs. among lots of other organic foods and beauty products. I hope this helps. I know I am adding to the conversation late…But Just FYI if there is a Kroger near you, Dr.Bronners goes half off (and sometimes more) on the small bottles every once in awhile, I stock up on them when they do! We’ve been eating mostly organic for a few years, and exclusively organic (also all our dairy products are now grass-fed &/or certified organic instead of simply not having fake hormones but still raised on factory farms & being fed corn, soy, etc. – I can’t tell you how much more nourished we feel since making that switch) for over a year. I’m now trying to figure out how to reduce our food budget, because even though I’ve been frugal, grow a big garden, shop in bulk, etc. – we eat A LOT, and I don’t handle carbs very well, so we can’t really live on grain & beans…I would love to see a breakdown of exactly what your $150 per month is spent on. 🙂 Have you done that somewhere already? Loved the article. Word of caution: There is no definition for “Natural” on a product. It can have anything in it. It’s nothing close to organic. Sea salt is still refined and processed whereas real salt is in it’s true natural form. It’s usually found course and pink or gray. Almost all food that has been processed in any way contain GMOs, through ingredients such as canola oil, any corn derivative, nearly all soy, including soy lecithin. Research coming out this month, of a two-year study on rats fed GMOs and Roundup sprayed on the crops, shows incredible harm to health — mammary gland tumors (breast cancer, anyone? ), hormone imbalance and endocrine disruption, liver and kidney necrosis, early death, etc. Organic is a way to go, but industrial ag has bought up lots of smaller organic companies. You’d be surprised who owns many of your favorite ones. Good article. As for beauty products, I’ve stopped using shampoo entirely. Look it up on pinterest. There are people who can explain it fat better than I can, but basically I use a solution of a teaspoon or so of baking soda dissolved in a cup of warm water to “wash” my hair and scalp. (My hair is about to the bottom of my shoulder blades.) Then I bring it back into an acidic ph (because that’s apparently what it’s supposed to be) with a solution of about a teaspoon of lemon juice and half a teaspoon of honey (for moisture) dissolved in warm water. You can rinse this out or not. I don’t because it keeps the frizz down on my naturally curly hair. Many people will use a solution of water and apple cider vinegar in place of this, and you should if you hair is dark. Mine is blondish brown, so a little lightening from the lemon juice is no bother. After a transition period where my hair got used to its own natural oils, I only need to do this every 5-7 days. With my curls, I often wet it down between washes to freshen them up, but I’ve even stopped using gels and mousses. I’ve been doing this since about February and wouldn’t go back to shampoo and conditioner for anything! Another beauty product I love is coconut oil, but not in my hair – I’ve tried it and found it leaves it too greasy. I use it as a makeup remover and as a moisturizer all over. I didn’t even mix it with beeswax and vitamin E. My skin has never felt softer; my heels didn’t get cracked and gross this summer, and I was even mistaken for my 18yo son’s girlfriend last week, lol. I have found that our local specialty store, Sprouts, ALWAYS has in store sales on locally grown, organic produce. I get AMAZING deals there. They have strict standards for what they carry so even if it’s not organic I know it’s good. Thank you for this post. I was feeling highly discouraged with budgeting and planning meals–I have a newborn who’s very clingy, I’m too short to wear her while cooking and cleaning, and 4 other kids ranging in age from 2 1/2 to 7 1/2, plus a husband who recently developed fibromyalgia. Getting meals on the table (that a majority will eat–I will not dream so high as EVERYONE eating the same thing) is really really tough, if not impossible most days. Today is an especially bad day with baby, hubby, and behavior. But this really helped me take a breath. I love Little House on the Prairie, and I like using natural products, such as homemade deodorant and lotion. The combination made me decide to reddit this page, because of the useful links. Great tips! The organic food switch is hard for a lot of people and I tell them the same thing you just said, plan to cook from scratch and your world will open up! As far as beauty care goes check out my blog. There are a lot of great recipes. I use Oil cleansing Method and an herb/oat face scrub. I also make our shampoo (all on the blog just search for them). I would love it if you could post this on my Natural Living Monday blog hop! I know my readers would love this. Thanks. For us it is expensive (for our budget), especially now that I have to be gluten-free. We don’t eat meat or dairy so that does help to keep costs down. I’ve been using generic pure milk of magnesia for deodorant for over a year now. Rarely does body odor come thru and if it does, a new swipe with a little bit of MOM instantly kills it. This works great even thru hot flashes. I buy generic because there are no other ingredients in it besides magnesium hydroxide and purified water. WalMart brand used to be only magnesium but for some reason they started adding chlorine/bleach to it. I put mine in an old small Dawn bottle and give it a shake or two after my shower & I pour out a quarter size dollop on one hand, then share it with other & swipe it across my arm pit. It also works well on any bacteria, including skin fungus, yeast, & athletes foot. I loved this article! So nice to meet someone who shops exactly the same way I do. People can’t believe how much we spend on our entire grocery bill each month. It is possible though. The key is to make it yourself, then you can afford better quality ingredients 🙂 I’m enjoying your blog and just added you to my blog list! I keep reading it’s possible to go all organic and still keep the grocery budget reasonable – but I can’t figure out how. We already cook from scratch. Our dairy is hormone free (Safeway brand). But organic produce and meat is much more expensive around here. We do grow as many of our own veggies as possible, and that helps, but we don’t have enough room to grow them all. If you save money on shampoo/conditioner by doing this then that extra money could be spent on bills or organic food! You are so welcome, I’m glad you are enjoying it! Thanks for the info and tips, and the pictures of your pantry and fridge! This is what I am striving for, but I have to ask… are you a stay at home mom? I’m about to be a mother for the first time, and my husband and I both work 40+ hours a week. I want to be able to go green on things, buy less processed foods, and shy away from “conveniences.” And, slowly, I am heading in that direction. but it just seems like I could never find the time to make all of my own food. I’d like to make breads, muffins, granola bars, etc…. and when the baby comes I will be making it my utmost priority to make all of the food from scratch using organic and non-gmo produce, but other than that, I can’t seem to find the time to do all of these things that would make our lives healthier and more frugal. It seems the healthier we go, the more money we are spending for the conveniences of not making it all from scratch. Any tips with finding the time would be much appreciated! Especially being pregnant now, I am so tired all of the time, I can’t imagine spending hours in the kitchen as much as I would love to be there! I’m a stay at home, work at home mom. I also work 40 hours a week so it is possible! You just have to find the ways to do it that work best for you. So maybe try a baking day, or just doubling meals and freezing the second portion, or creating homemade mixes, or a variety of other things you can do when you actually do have time to plan for when you don’t. How do you survive on 200 a month on groceries?! I seriously buy only whole food and cook everything from scratch… I also make all of my own cleaning and beauty products and my monthly grocery budget is nearly double! We have no upped our grocery budget to $300 a month but now we’ve added an extra person an are buying 100% organic and local. I do a ‘no poo’ regimine with vinegar for two weeks after I color my hair (Yes I still allow myself this silky luxury) because it slams the cuticle shut and makes my color last much longer! I also dilute baking soda into h2o and use that as my final rinse!! Try it!